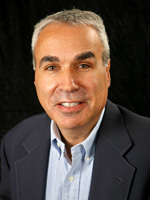 Larry founded Restoration Capital in 2007 and serves as Executive Managing Director. He also acts as Managing Director of West Gloucester Capital, LLC. Since establishing Restoration Capital, Larry has purchased many non-performing construction loans from institutional lenders allowing consumers to purchase high quality homes at a fraction of their original selling prices. Prior to establishing Restoration Capital, he acted as an independent originator for firms such as Fortress Investments (Joint Venture Partner), Silver Point Capital and CIT Commercial Credit. He brings to Restoration Capital extensive experience with transactions involving the placement of equity, mezzanine debt, secured first lien debt, warehouse facilities and asset based loans. Larry is the former CEO/President of Finagle A Bagel, a $25million bakery wholesaler and retailer, and the former CEO of London Taxis North America, the exclusive distributor of the London Taxi vehicle in the United States and Canada. Larry also worked for eight years with General Electric Company's Aircraft Engine Division in various manufacturing management and finance positions. He holds a Bachelor of Science degree in Mechanical Engineering and Applied Mathematics from the University of Rhode Island, is a graduate of the General Electric Company's Manufacturing Management Program, and has studied for an M.B.A. at the Carroll School of Management at Boston College.